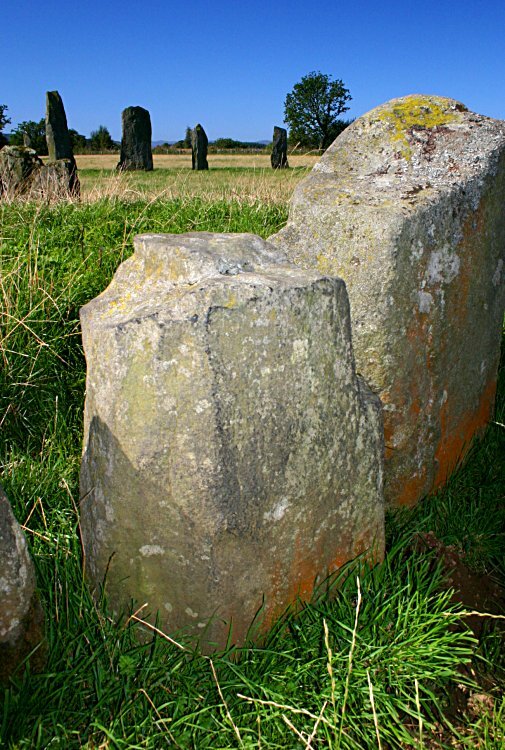 Just a few metres from the better known Ballymeanoch stone rows, and close to other cairns and a henge monument, is this kerb cairn. Anywhere else, this would be a quite impressive cairn. Here it is rather overshadowed by its grander field-mates and often overlooked. 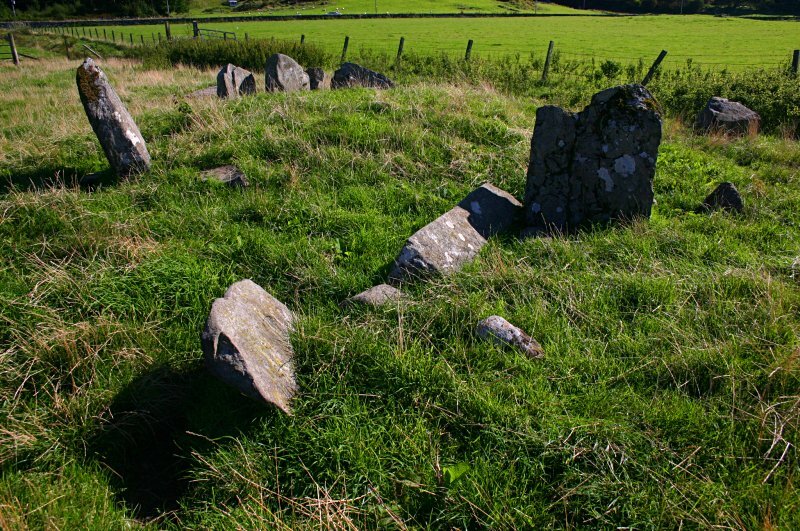 A circle of large stones in a 6 metre diameter circle form the kerb of a mostly robbed cairn. Eleven stones are still earth-fast, and a few slabs outside the cairn may also have been part of the kerb. 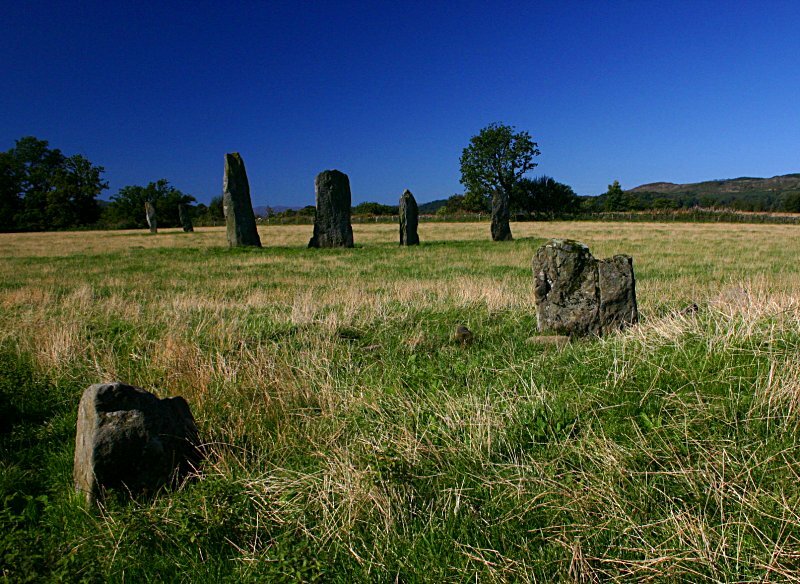 See also: Ballymeanoch stone rows, Ballymeanoch holed stone, Ballymeanoch henge, Dunchraigaig cairn.